Obesity rates in the Caribbean are among the highest in the world, due to chronic food security challenges and weak food systems, which lead to high consumption of foods laden with salt, sugar, and fats. Nutritionally poor diets are a major risk factor for a number of chronic diseases which take a toll in the Caribbean. The region has the highest mortality rate due to chronic diseases in the Americas, and three out of four deaths can be attributed to cardiovascular disease and diabetes. 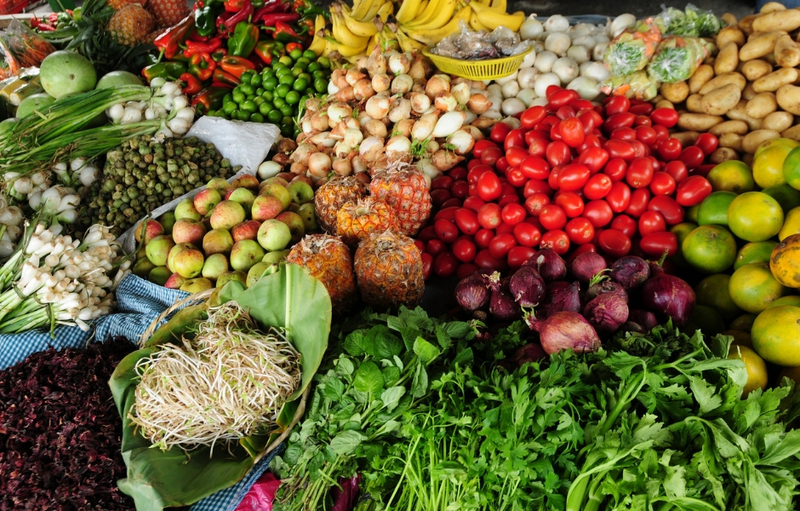 Combined vulnerability to extreme weather events and weak value chains, with limited marketing and distribution systems, all hinder local capacity to produce healthy foods such as fruits and vegetables. As a result, the region is heavily reliant on the consumption of imported—and often highly processed—unhealthy food products. To address these parallel agriculture, nutrition, and public health challenges, this project aims to demonstrate how integrated, community-led innovations and public policy interventions can strengthen local food production, improve diets, and ultimately improve health and nutrition in the region. The project will take place in Jamaica, Saint Vincent and the Grenadines, and Saint Kitts and Nevis. The objective is to investigate the structural, policy, and behavioural conditions which drive food production and consumption. It then aims to implement coordinated packages of interventions within the three national food systems, promoting sustainable livelihoods and combating obesity and diet-related chronic diseases through strengthened local food systems and improved healthy eating. This project builds on findings from past IDRC-funded programs, including an evaluation of the impacts of the 2007 Port of Spain Declaration’s policy commitments on diet-related chronic diseases and the results of the ‘Farm-to-Fork’ project. The latter initiative sought to improve the nutritional outcomes of primary school children in Saint Kitts and Nevis by supporting local food production by smallholder farmers and by enhancing the local supply chain from food production to consumption in schools. This project aims to build a stronger link between the food security and malnutrition and chronic disease policy agendas in the region. This project will fill existing gaps in knowledge by collecting and analyzing data on the influence of the food environment on eating habits and health outcomes in three countries in the Caribbean region; on barriers to agricultural innovation and adaptability; and on gender roles and gender equity in the pursuit of a more nutritious, gender- and health-responsive food system. It is expected to inform decision makers and other stakeholders about ways to make local food systems more responsive to the burdens of obesity and other chronic diseases in CARICOM, and ultimately become the basis for locally informed and scalable agriculture and health interventions that improve the availability, affordability, and accessibility of healthy foods in the Caribbean. This $4 million, 48-month long project is a joint research collaboration between public health, gender, and health economics researchers from the University of the West Indies (Jamaica, Trinidad and Tobago), the University of Technology (Jamaica), Cambridge University (UK), and Canadian food security researchers from McGill University.